Much of Africa's landscape and forests has been severely degraded. An estimated 65 per cent of arable land, 30 per cent of grazing land and 20 per cent of forests are already lost. More than a quarter of African land has turned into desert, and the dry lands are increasingly under threat of desertification. Africa is one of the most vulnerable continents, a situation that is further exacerbated by climate change. According to a recent assessment by FAO, about 10 million ha needs to be restored annually to halt and reverse land degradation in the Sahel and the Horn of Africa. With more than 700 million ha of degraded land and 3 million ha adding to this number each year, Africa has the largest opportunity for massive forest and landscape restoration than any other continent in the world — over a third of global land available for restoration. International, regional and national policy makers and the development community have firmly focused their attention on innovative pathways of restoring the forest and landscapes to avoid the gloomy decades ahead. It is against this background that several African countries have made a commitment to restore 100 million ha of degraded and deforested land by 2030, while at the same time addressing issues ranging from food security and nutrition, resilience and adaptation to climate change, poverty reduction and biodiversity restoration. This pan-African initiative, known as the African Forest Landscape Restoration (AFR100) was launched at the Global Landscapes Forum at COP21 in Paris, in 2015. The Great Green Wall Initiative plays a major role in its implementation, together with other Africa-led initiatives. According to United Nations Convention to Combat Desertification (UNCCD), since its launch in 2007, the Great Green Wall Initiative has built on some of the early efforts and is making major progress in restoring Sahara-Sahel landscapes. These ambitious efforts have drawn tremendous and dynamic political support, suggesting that Africa’s leaders are taking bold actions to address forest and landscape degradation. Decades of several restoration initiatives in Africa suggest that the continent has a long runway to advance the AFR100 ambition. Over the last 20 years, the scale of restoration of degraded land through soil and land conservation and tree planting in Ethiopia is noteworthy. 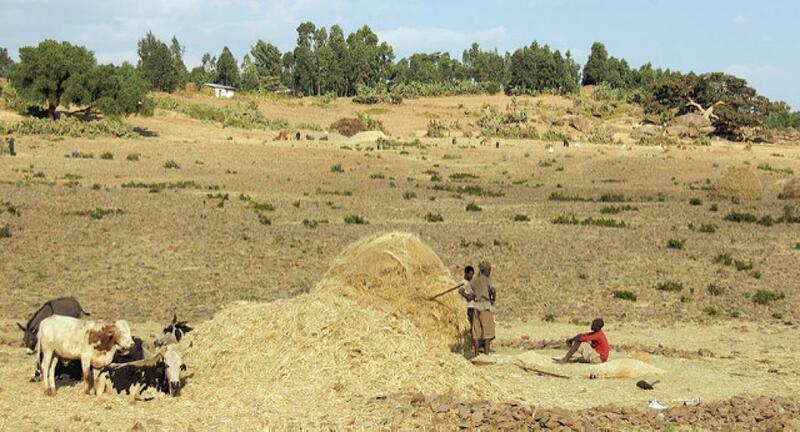 Several accounts have put restoration work in Ethiopia at 15 million ha. In particular, Tigray region in northern Ethiopia, between 224,000 ha to 1 million ha have been restored by planting trees, restricting grazing, building terraces, stone bunds and other land conservation measures. In Niger, more than 5 million ha of land has been restored and around 200 million trees have been planted in southern Niger — through a farmer-managed process of natural regeneration. Likewise, Rwanda was among the first to jumpstart the land restoration implementation. Recent analysis by MINILAF showed that nearly 900,000 ha of land has been restored since 2011, mostly under agroforestry. Similar efforts were documented for Nigeria and Senegal at 5 million ha and 4 million ha respectively. Landscape and forest restoration in Uganda was around 250,000 ha, Mali 485,000 ha, and Burkina Faso 300,000 ha. In addition, in Tanzania, “ngitili” (i.e. a community managed natural regeneration of shrubs and trees) increased from 600 ha in 1986 to 472,000 in 2001 in the Shinyanga region’s in 833 villages and this number got to around 500,000 ha in 2005. However, the available data on restoration work in Africa is scanty and largely anecdotal. It is too early to realistically answer the question of what proportion of the restoration pledges has been achieved so far through AFR100. In general, as the countries seek to move from pledges to implementation major focus has been on assessment of restoration opportunities. This involves three phases (Mawoko D., NEPAD, pers. Comm., 2018): first, assessing the national restoration opportunity and validating area commitment, second, developing a large-scale restoration strategy, and then, lastly, implementing it. The Restoration Opportunities Assessment Methodology (ROAM) covers the first two steps. A number of countries have already jump-started steps one and two, while some have even moved to step three. To date, Rwanda, Ethiopia, Kenya, Malawi, DRC Congo and Madagascar are most advanced, and assessment is underway in Cote D’Ivoire. Several other countries are assessing their restoration opportunities, developing tools, mobilizing resources and building network of stakeholders. Landscape and forest restoration should be seen with a broad lens than just a tree planting exercise. When integrating trees to the landscape, regardless of the approach used, it is important to apply a holistic and landscape approaches to ensure that sustainability principles are adhered to, and multiple benefits of land users addressed. As the AFR100 gathers momentum and transition from bold political commitments to implementation on the ground, there is need to address some critical bottlenecks that may limit efforts to reaching the target by 2030. Forest restoration is risky and costly: Financing forest restoration is an expensive and risky business. The choice of appropriate species: Forest and land restoration requires knowledge and evidence-based decisions on the appropriate tree species to grow, seed sources and propagation methods — to produce seedlings and/or vegetative propagules, and nursery operations. Knowledge intensive and long-term nature of forest and landscape restoration: Integrating trees in landscapes is a knowledge intensive and long-term effort, requiring investment in capacity building, training and lessons learning. Integrated and cross-sectoral planning, policies, and governance: By its nature, forest and landscape restoration affect multiple sectors, e.g. agriculture, forestry, natural resources, livestock, fisheries, land, water, land etc., therefore in order to address this challenge a cross-sectoral integration approach is crucial. The success of these integrated landscape restoration initiatives depends on knowledge intensive supports, capacity development, training and quality tree seed supply system for smallholder farmers, and the enabling environment, including governance and policies. Such efforts will also help integrate and manage trees on Africa’s agricultural landscapes to address hunger, climate change and reverse environmental degradation. In sum, landscape and forest restoration — centered on massive tree and shrub planting programmes has the potential to transform livelihoods and reclaim degraded land across Africa. Africa has a long record of accomplishment of forest and landscape community-led large-scale initiatives that the AFR100 can build upon. The AFR100 is in its third year, therefore, assessing progress is rather too early. Nonetheless, there has been considerable effort by participating countries in advocacy and creating awareness, coordination, resource mobilisation and building powerful political networks, as well as setting the monitoring framework.